The San Francisco Chronicle’s new restaurant critic, Soleil Ho, wrote a wonderful essay recently citing a melange of words she vows never to use in her restaurant reviews. This got us thinking about all the flaccid phrases and tired terms waiters peddle around the dining room every night that should be expurgated from the lexicon. 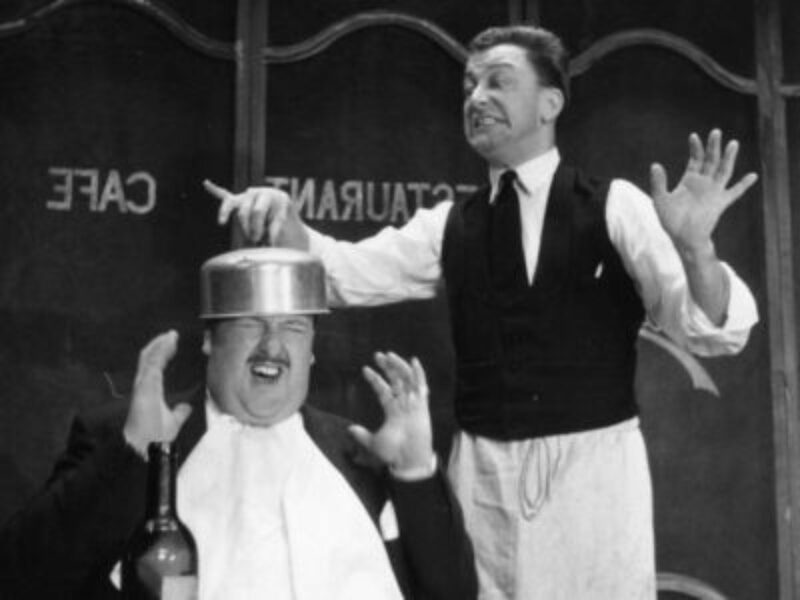 In the spirit, we’ve compiled a list of things waiters should stop saying to their guests. 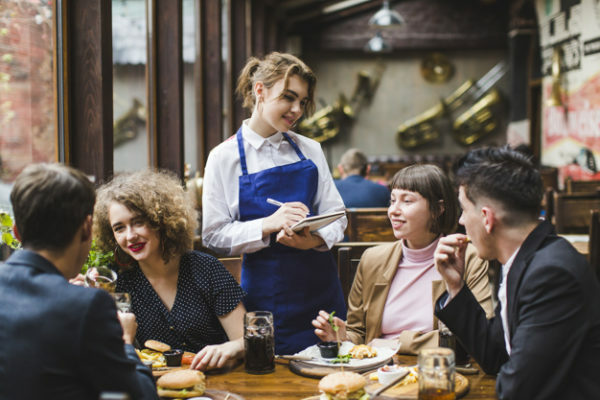 “Have You Dined with Us Before?” – This phrase has become a common waiter crutch to suss out first time diners, but it has also become comically overused. A simple “May I help you with the menu?” would better cut to the chase. Greeting the table with this question can also come across condescending—as if the diner will be lost without the server’s road map for placing a proper order. “Served on a Bed of…” – First of all, there is no such thing as a food bed. In fact, there is nothing remotely mattress-like about a pile of Brussels Sprouts. It’s perfectly sufficient to say a dish is “served with” something. Why does conjuring pieces of furniture paint a better picture? We don’t eat beds, so why should we use the term to describe a dish? “Medallions” – Servers use this word to describe pretty much anything that is cut circular. The thought of eating an actual medallion is not even appetizing. Bottom line: this term makes everything sound like banquet hall catering food and waiters should remove it from the vocabulary of menu descriptors. What’s next… Doubloons of Hakurei Turnips?? “Housemade” – It can be exhausting sometimes listening to servers describe ingredients on the menu as “Made in House”—Housemade Pancetta, Housemade Tartare Sauce, Housemade Cheesecake. It’s obviously a term meant to make the food sound more homespun and appealing, but nice restaurants should make everything in house without having to call attention to it. Also, the proper English is to say homemade. “Pan-Seared” – This term began popping up in the late 90’s as a sexier way of describing the way certain fish and meat are cooked. Apparently, guests were supposed to be impressed that the chef was using a pan to sear something. 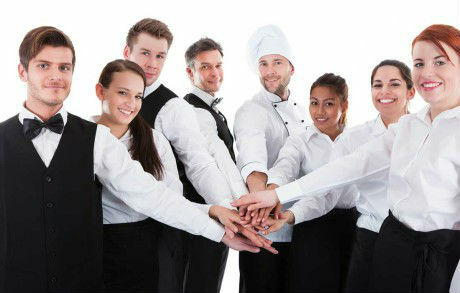 Todays diners are more savvy about food so maybe waiters can leave the pan part out now. Let’s just go with seared. “Cuts the Richness” – This phrase is often deployed by servers when recommending a wine pairing. It’s meant to suggest that the wine has good acidity, but it’s totally unnecessary to speak in such abstract terms. Waiters love to overcomplicate the description of things because they think it makes them sound smarter. 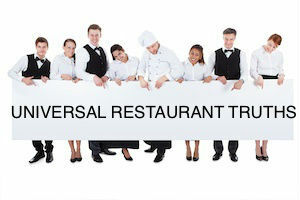 “Our Signature Dish” – The notion that chefs must have “Signature Dishes” has stifled creativity in restaurant kitchens. 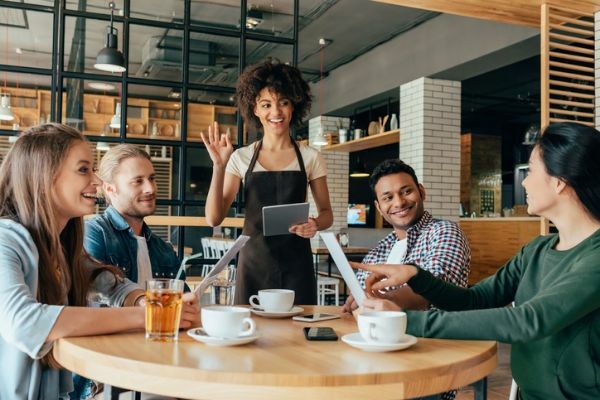 In the era of social media, groupthink has homogenized the way people order and waitstaff couching its recommendations around what is popular reinforces these bad habits. Let me start by saying I never Yelp about my guests. Ive been working at this restaurant for a long time—WAY before you read about it on Yelp—and most people consider me an excellent waiter. I get great reviews all the time, so I can only assume since you were such a problem when I waited on your table last Friday night that there must be something lacking on your end. First of all, your Open Table guest notes said you were a VIP. I guess maybe my expectations of you were a little too high from the beginning. The minute I approached the table I knew it was going to be a long night. “Welcome to the restaurant,” I said cheerfully. You didn’t answer. I set the wine list on the table in front of you but you were too busy on your iPhone to bother acknowledging me. It’s obvious that impressing your friends on Instagram with still life portraits of napkins and cutlery is more important than considering the menu. I guess this must be how Open Table VIPs act, I thought to myself. After I poured the water, you ordered a Casamigos Margarita and asked if the bartender could make it with agave nectar. Does this look like a Mexican restaurant? Sorry, señor. “Fine, fine, fine, just NO sugar. I’m Paleo,” you said. Your friends at the table must’ve been really impressed by your story of how you saw George Clooney in an elevator once in Beverly Hills. I wasn’t. Even George knows Casamigos is total basura. Why do you think he sold the brand? Maybe you should go back to Cocktail School and learn how to order a proper drink. Like clockwork, you start waving me over like you were hailing a cab after I already checked in with you five times to see if you were ready. Of course, NOW you’re in a hurry and need to order RIGHT AWAY. Maybe if you tell me one more time that you have Hamilton tickets I’ll feel a greater sense of urgency. Probably not, though, because I’ll be too busy in the service station ridiculing you to my colleagues. I told them you must have given all your money to Lin-Manuel Miranda because you obviously don’t have the funds to order a proper two-course meal. When your food arrived, it must’ve looked like I was enjoying standing there waiting for you to move your iPhone while I tried to serve your Abalone Crudo. It was hard to fight the urge to tell you right then and there that you pronounced Abalone wrong when you ordered it. It was obvious to me that you thought you were ordering Tuna. That’s Albacore, Einstein. When I finished putting your plates down, I couldn’t believe you had the nerve to ask if I could divide your salad too? Do I look like your mommy? You want me to cut your food into tiny pieces and spoon feed you little bites while I make roller coaster and airplane noises? Don’t be such a baby. Use the serving utensils we gave you like everyone else. This is a fine dining restaurant, not hospice care. Someone should petition Open Table to revoke your VIP status. There are so many diners better than you. Even that guy with the bad hairpiece and the emotional support animal who always sits alone on Table 42 and drinks Beaujolais puts you to shame. He comes in all the time—ten times the VIP you’ll ever be. Do you hear me, Open Table? The highlight of waiting on you was delivering the check. Obviously, you never asked me for it, but I dropped it anyway. I figured you were inconsiderate of me all night so it only made sense that I return the favor. Your ten percent tip was just the icing on the cake. Maybe if you tipped respectably, I might not have resorted to shaming you on Yelp. Oh… and just in case you thought I didn’t see it, I’ve already read the salacious one-star review you posted about your experience and I have two words for you: Fake News. Your “alternative ending” was worthy of an episode of Black Mirror: Bandersnatch. Honestly, I can sleep at night knowing that the odds of your ever sitting in my section again in this restaurant (or in any other restaurant that could potentially employ me in the future) are slim to none. If it was up to me, you would never be allowed back into this restaurant again—unless maybe you’re ordering take out.